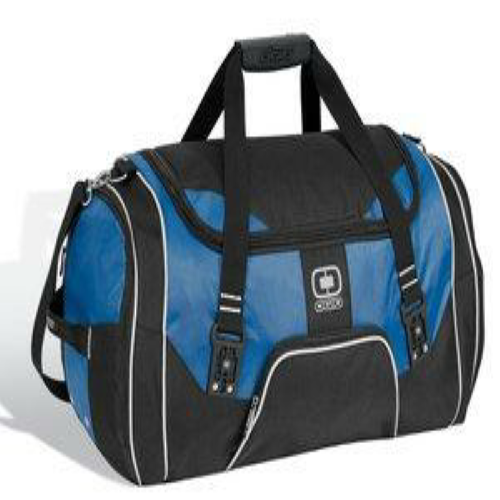 Create and order Custom Duffle Bags. No Minimums and Free Shipping on all orders over $100. Sized to fit the gym locker, this duffel opens wide to reveal a roomy interior that holds shoes and a change of clothes.| 600D poly/420D dobby poly Front zippered digital media/audio pocket with headphone exit port Easy-access front sleeve pocket Detachable, adjustable shoulder strap Side grab handle Fabric-wrapped handle Dimensions: 10'h x 18'w x 9'd Capacity: 1,800 cu.in./29.5L Weight: 1.0 lbs./0.5kg Bags not intended for use by children 12 and under. 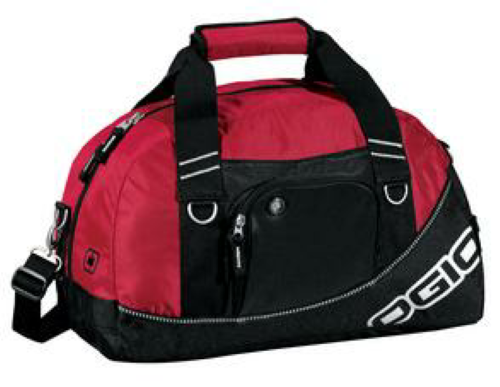 Large capacity for the gym or light travel. The cavernous interior easily holds a complete change of clothes and shoes. 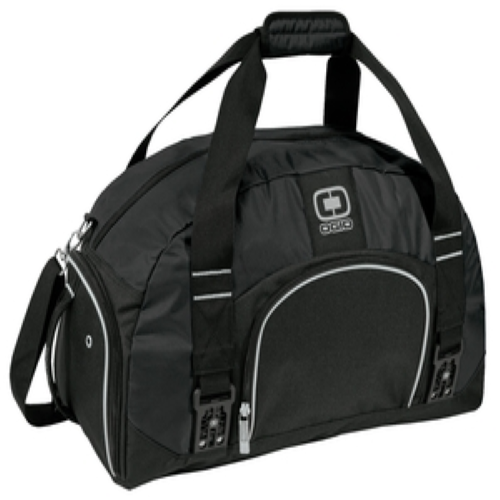 | 600D poly/420D dobby poly Front zippered pocket Ventilated shoe compartment with grab handle Detachable, adjustable, padded shoulder strap Fabric-wrapped handle Dimensions: 14'h x 21'w x 12'd Capacity: 3,400 cu.in./55.7L Weight: 1.8 lbs./0.8kg Bags not intended for use by children 12 and under. Engineered to hold enough for days of serious travel with a wide opening and a huge cargo compartment. | 420D dobby poly/600D poly Front zippered pocket Ventilated shoe compartment with grab handle Large main compartment with U-shaped opening Custom-molded, interlocking handle Side-zippered accessory pocket Detachable, adjustable, padded shoulder strap Dimensions: 13'h x 24'w x 12'd Capacity: 3,800 cu.in./62.3L Weight: 3.0 lbs./1.4kg Bags not intended for use by children 12 and under. Order your own custom duffle bags for your team or business. T-Shirt Elephant stocks a wide variety of duffle bags, perfect for the gym, sports teams, and traveling. We have a great selection of sizes, colours, and different bag materials available for customization. All our printing is done in Canada, ensuring your bags are of the highest quality and durability. 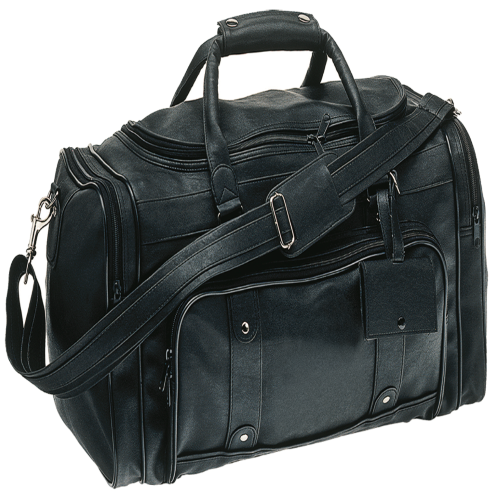 Design your custom duffle bags online today and receive free shipping anywhere in Canada with no minimum orders.